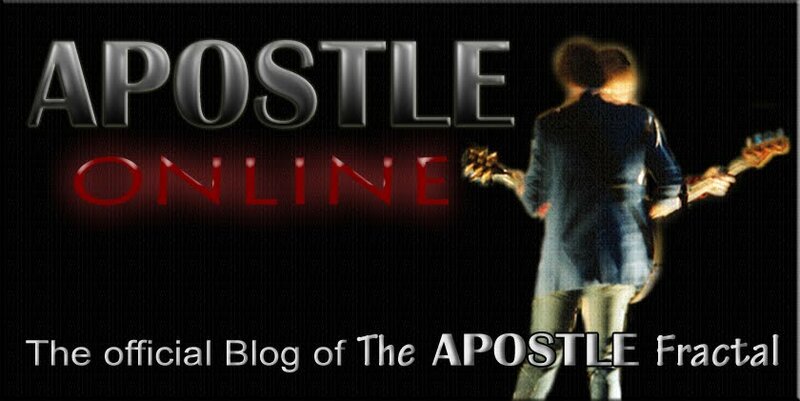 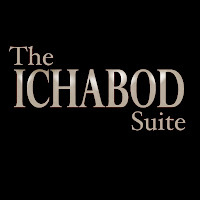 The Ichabod Suite a six-song concept EP from The APOSTLE Fractal is now available for download or may be viewed on YouTube. 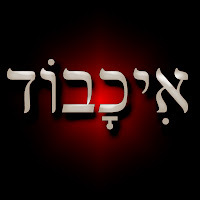 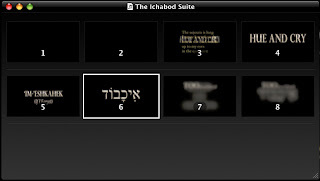 The suite is delivered as an m4v video that may be played on any modern computer or smart phone. 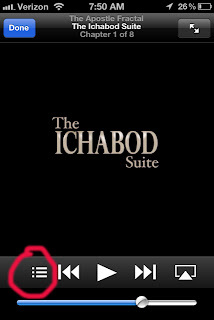 For best results use an iPod, iPhone, iTunes or QuickTime. 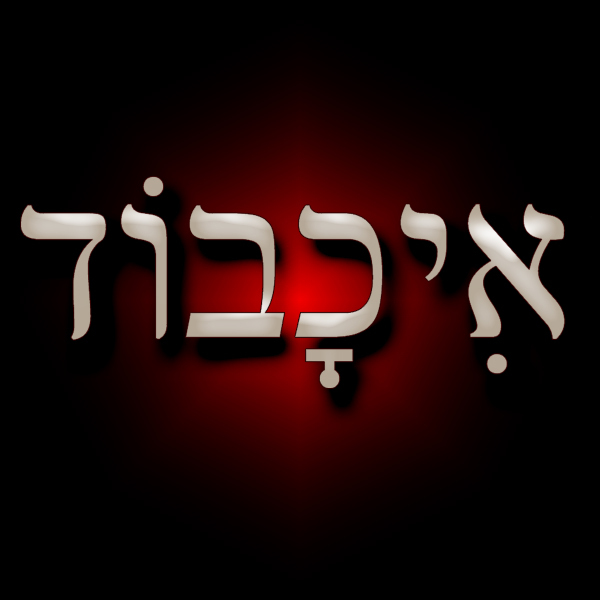 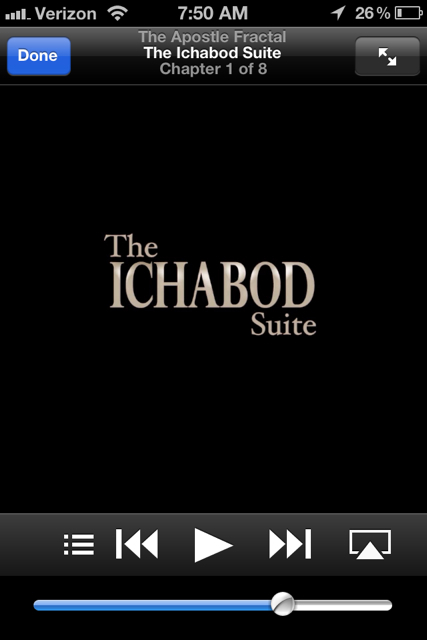 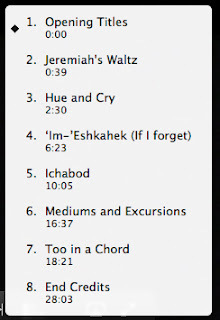 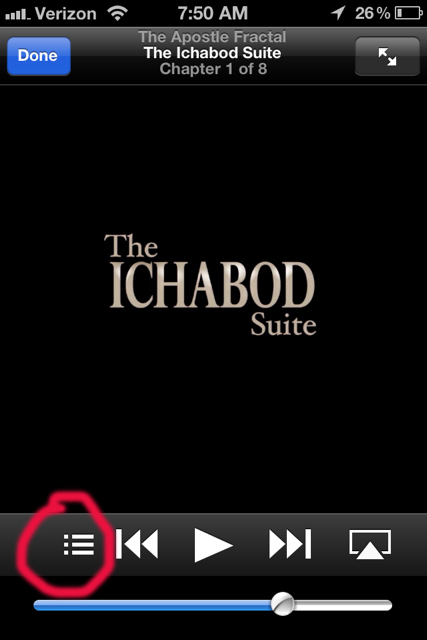 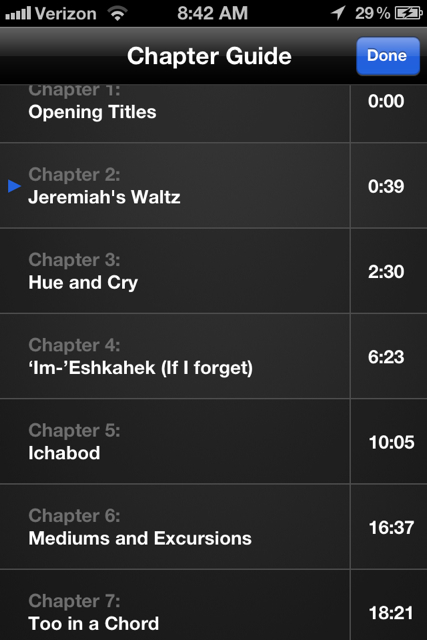 The download version of The Ichabod Suite is divided into chapters. 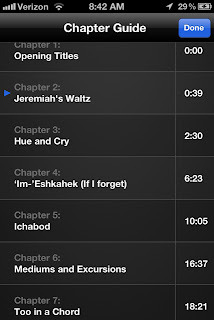 The chapters represent the individual songs as well as the Introduction and End Credits.